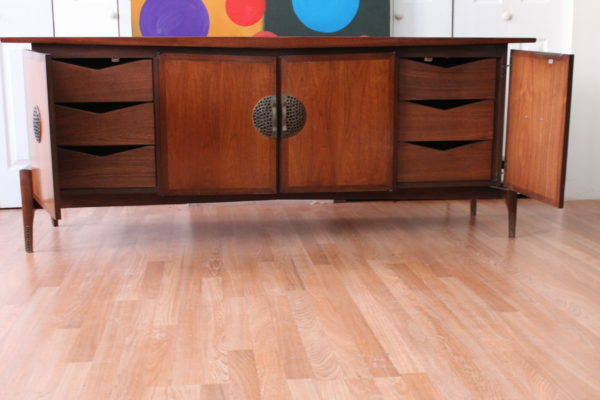 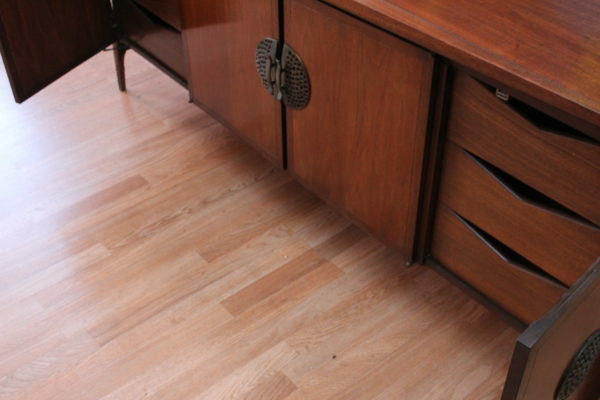 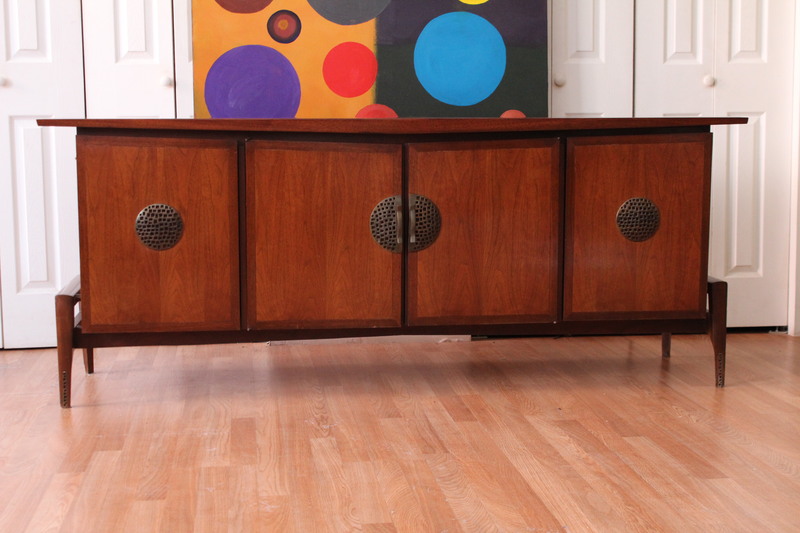 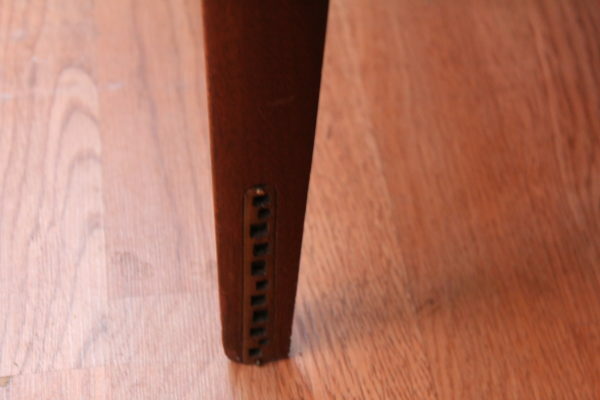 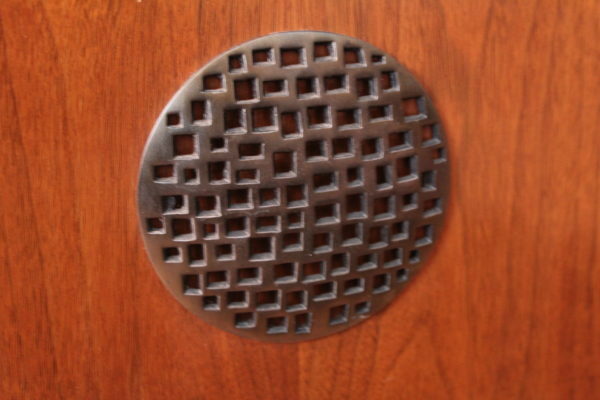 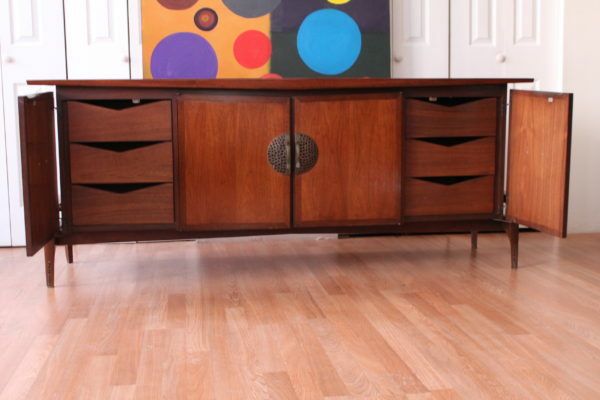 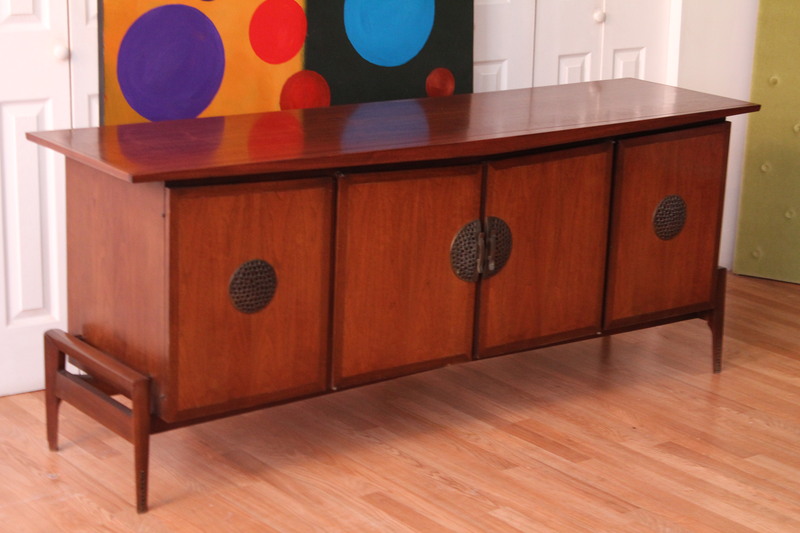 The build quality on this Hobey Helen Baker walnut credenza is brilliant! 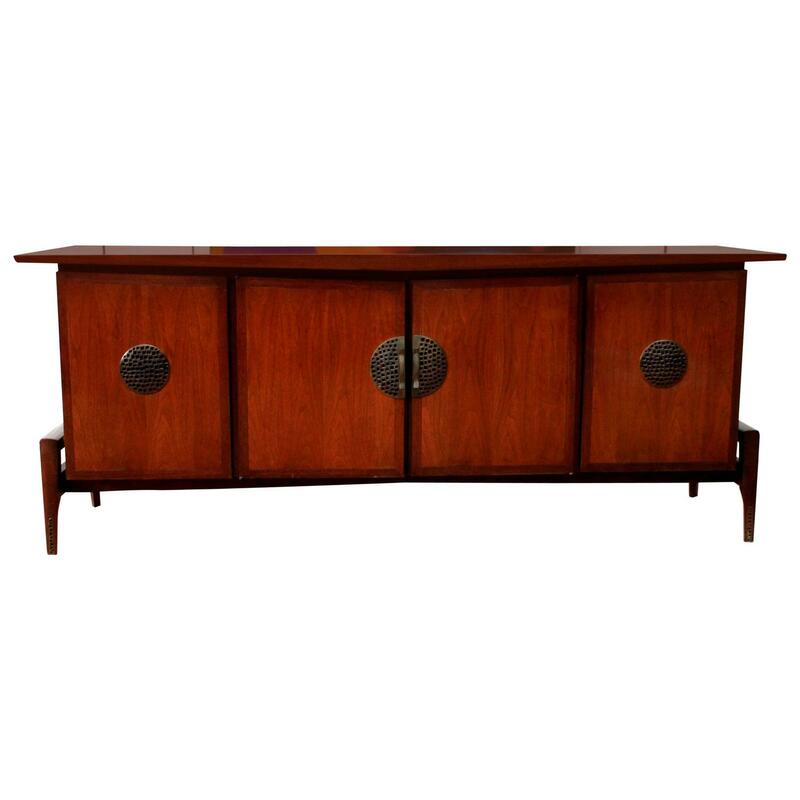 On par with Dunbar, Widdicomb and Wormley, this rare walnut, Hobey Helen Baker credenza boasts a “boomerang” style curved front, four beautiful walnut doors that open to three interior drawers on both sides and sits cradled on tapered legs. 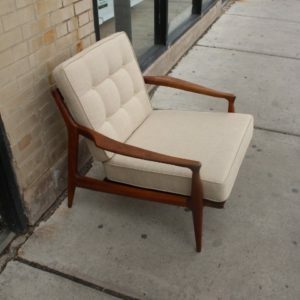 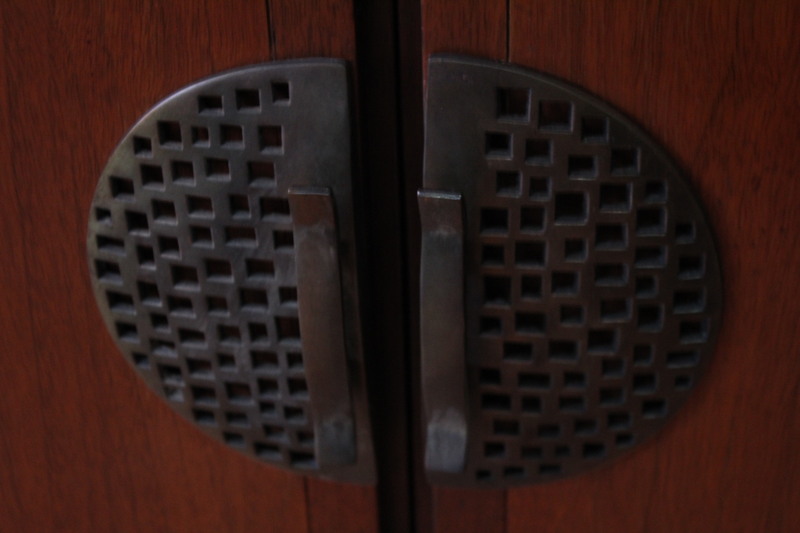 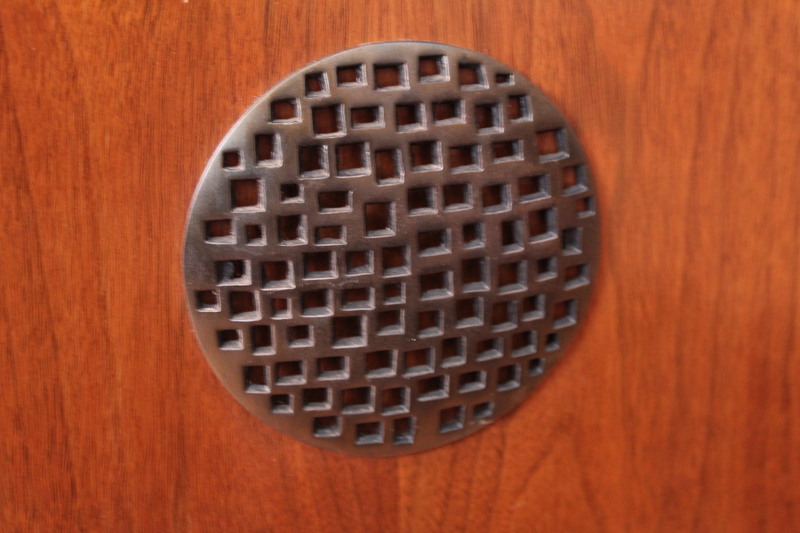 The Brutalist medallions on the doors and legs show the high quality workmanship involved in designing and constructing this piece.